Selected paintings from my cross-America trip in 2005 — me, my jeep, and my cat. In these paintings, the act of travel has become the subject. I drove alone on this trip. My cat, as usual, was of no help. I had little time to enjoy but brief glimpses of the scenery, from grand to mundane. All that is left at the end of the trip were images in my mind. 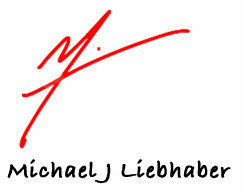 All images Copyright © 2015, Michael Liebhaber, and cannot be used without permission. If you wish to use some of the artwork, please contact the artist first to ask for permission.